In part two of my series on marketing planning, I will introduce you to the wonderful world of Account-Based Marketing, otherwise known as ABM, and discuss content strategy and content clusters. If you didn’t read Part One on creating effective marketing plans, please go back and do that right now! So far, we’ve talked about setting a solid strategy, which often involves selecting growing market segments and for which your company has a competitive advantage. But a wide range of players can exist within each target market, including SMBs, large companies, and industry giants. Depending on the service or product your company offers, you may choose to focus on one sliver of the spectrum. Alternatively, if you’re like many of Marketri’s clients, your firm may want to cover the full range. Do you want to hunt “big whales” and also maintain a bread-and-butter base of medium-sized customers? 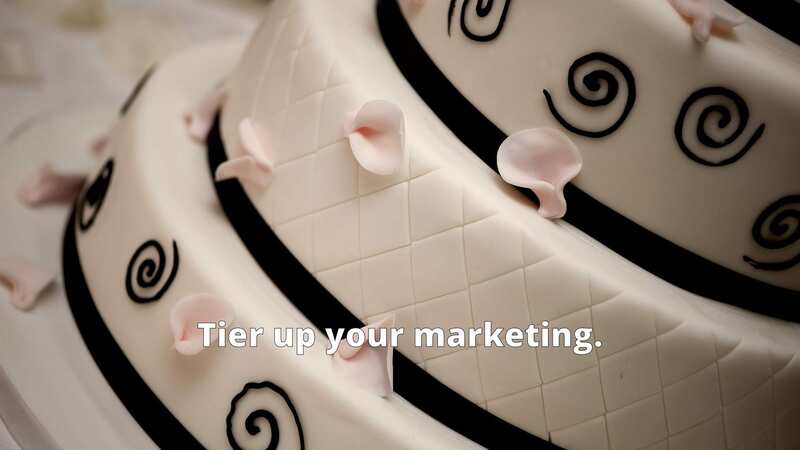 Then tiering up your marketing plan with ABM is the way to go. According to SearchCRM, Account-Based Marketing (ABM) is an alternative B2B strategy that concentrates sales and marketing resources on a clearly defined set of target accounts within a market and employs personalized campaigns designed to resonate with each account. Tier One: These accounts are your big whales, and they require marketing and sales to take a proactive and integrated approach to outreach. Marketing plays the role of the toaster, warming up the Tier Ones with custom 1:1 communications, while sales does the heavy lifting with phone and email outreach. 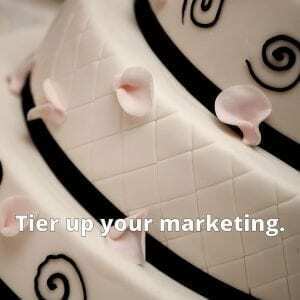 Tier Two: Accounts classified as Tier Two are typically your middle-market and large companies. These will match your “ideal client” and “ideal persona” profiles indicated in Part One. Marketing’s role is to generate sales qualified leads (SQLs) through creating highly relevant industry- and sector-specific content and messages. Sales professionals can nurture leads alongside marketing and work to qualify SQLs. Generally, marketing and sales will share time equally working Tier Two accounts. Tier Three: These accounts tend to be in the thousands and are likely to be small businesses with one-off, occasional needs. 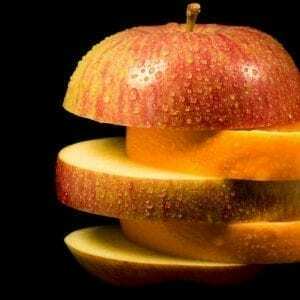 Your marketing plan should mine for low-hanging fruit with smaller accounts and use marketing leverage (technology and existing content) as much as possible. Sales will play a minimal role for Tier Three accounts. New business opportunities can often be passed directly to customer service. Marketing should play an active role in identifying as much information as possible about a company’s various accounts, so the company’s categorization continues to evolve and stay fresh. I won’t get into specific communication or campaign strategies—it’s too detailed for this two-part blog series. However, I do need to touch on content, as it’s king for any modern-day marketing plan. Every Marketri marketing plan has a significant content strategy component. We find that many of our clients have been creating content, but it has not led to any lead generation. Content for content’s sake won’t move the needle. The missing link to a successful outcome is often sound content strategy. Be specific in your marketing plan about what keyword phrases are critical to your business, and then surround them with context. The context helps buyers learn early in their buying journey about the solutions landscape and the strengths of your particular offering. Context also helps search engines “understand” what your company does. The physical hyperlinks you use to connect content pieces and webpages create a structure that search engines can read and interpret. If you’re careful in the way you create content and connect it to your company’s services, you can increase the chances of attracting high-quality leads. Marketing automation platforms like HubSpot guide users through building content clusters, which offer an easily understood structure for search engines and internal stakeholders to understand the context they’re creating with content. And they also keep content creators focused on persona-centric keywords that they have a chance of ranking for. The understanding and the focus help companies build organic traffic and attract better leads. A well-crafted marketing plan will serve as your company’s growth driving instructions. Hopefully, my two-part marketing plan series has given you some insight into elements that should be included in your plan. 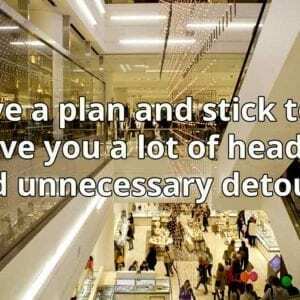 But if you find that you’re stalling or stifled, narrow your target and move in the right direction. You don’t have to create the “mother of all marketing plans.” Build one that works for you. If you’re interested in learning more about creating better B2B marketing strategies, then check out our guide below. It covers 10 best practices we’ve learned by working with companies in the B2B middle market. Which of the 4 Types of B2B Marketing Plans Fits You Best?